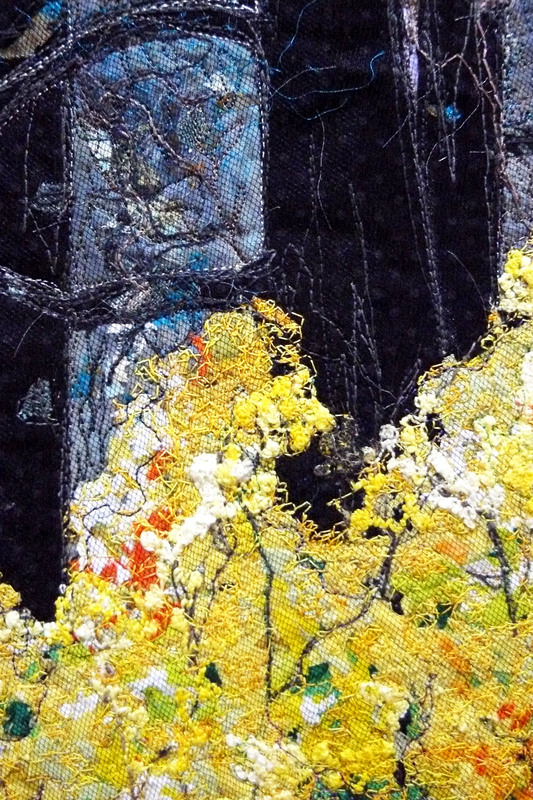 This piece has come from material collected from a holiday I had in Halls Gap a few years ago. It was about eight months after the terrible Victorian Black Saturday fires of 2009. 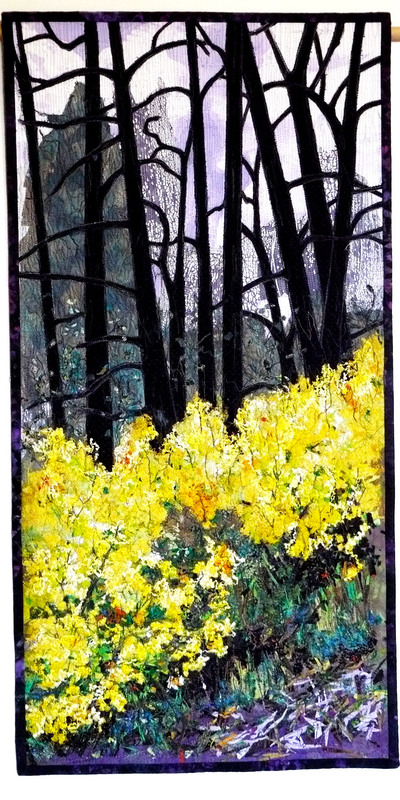 I was taken by the contrast between the blackened trunks and the bright wattle seedlings beneath.I have incorporated some new techniques including monoprinting (background), confetti applique and bobbin drawing (wattle).